. 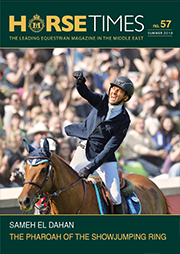 :: EQUICARE'S CHESTNUT MARE ::. 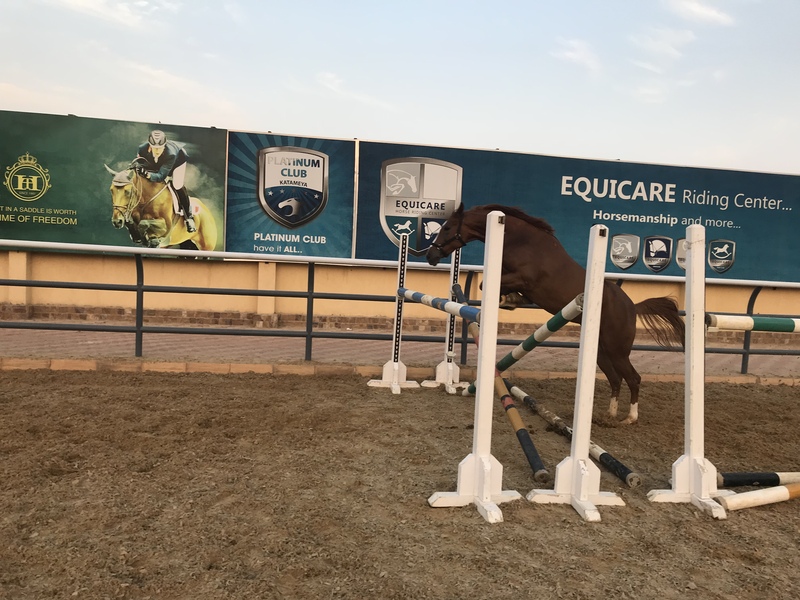 This is the third blog post and I’d like to start talking more about the horses we have in Equicare Riding Center, to make you more involved in our beloved place. Today I chose a horse from Level 3+ named “Oreo”. She is a beautiful 8 year old Chestnut Mare. She has very light motion in her gate (Walk, Trot and Canter) with a well-developed body and muscles. She possesses a wonderful personality; very sweet but at the same time a hard worker and loves challenges. Oreo is this type of horses that require a good and brave rider who focuses on training and really wants to work on difficult levels. 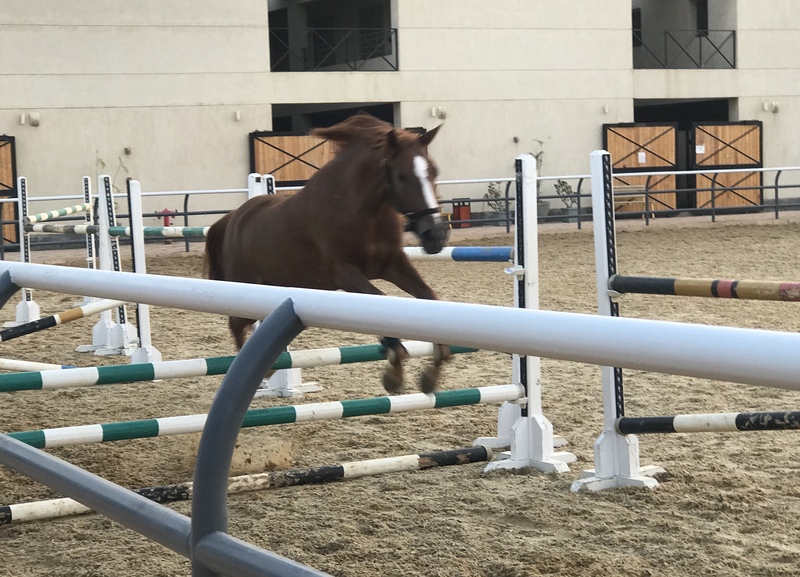 Lately we discovered that Oreo has and extraordinary potential in jumping fences and she really enjoys practicing on jumping courses. 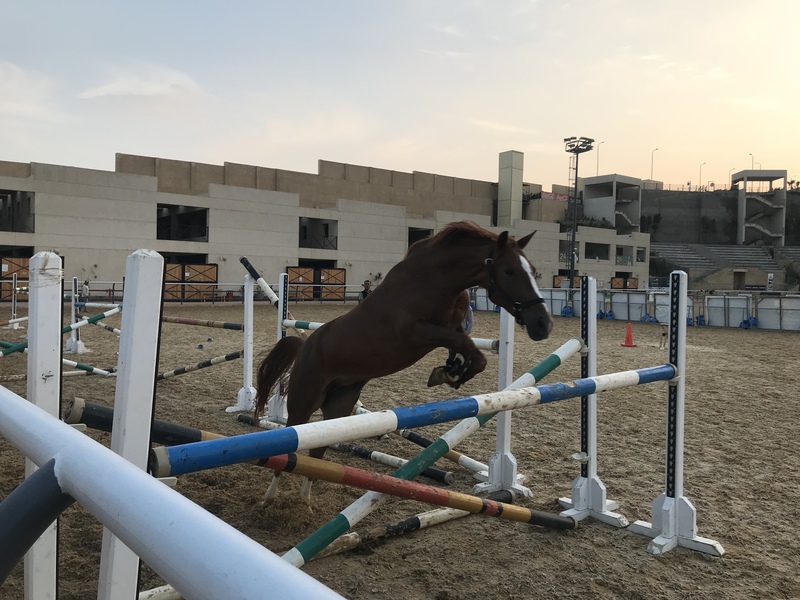 She even did very well during free jumping practices. That’s it for today, hope you all enjoyed knowing about Oreo. Stay tuned for more updates and stories about other horses.